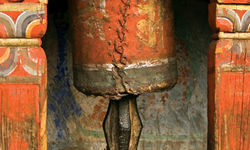 Bhutan is about as unusual a country as you could hope to find. 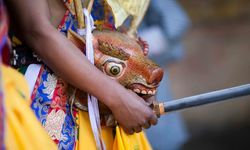 Tucked away between Tibet and India in the eastern Himalayas, the geography of this small, landlocked kingdom ensured its isolation from the rest of the world for centuries, in the process preserving the country's Buddhist culture and traditional lifestyle. 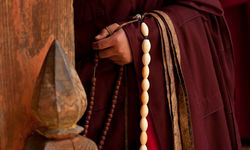 Bhutan is wonderfully unspoilt by the outside world, and the Bhutanese set great store by their traditions and beliefs. 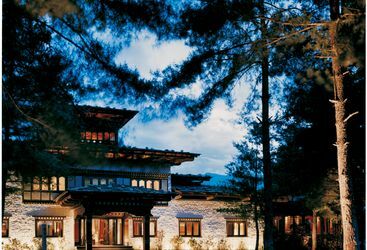 Inevitably, however, the modern world is beginning to filter in to this Himalayan kingdom - a ban on TV was lifted in 1999, for example - but it remains a wonderfully unspoilt corner of the world to explore on a tailor made holiday. 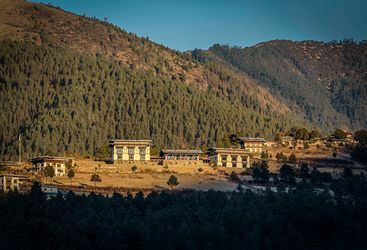 While Bhutan is slowly changing, the nation's government - recently transformed from an absolute to a constitutional monarchy - does its best to manage the transition. 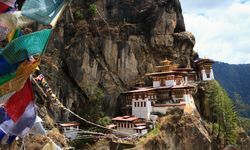 Hefty daily tariffs to visit the country keep tourist numbers low and help safeguard the nation's culture, identity and the pristine natural environment. 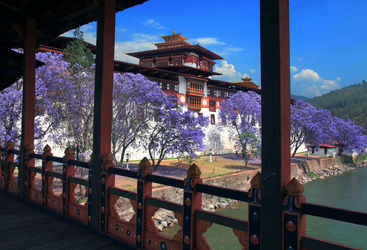 Travel to Bhutan generally begins and ends at Paro, where the country's only international airport is located. 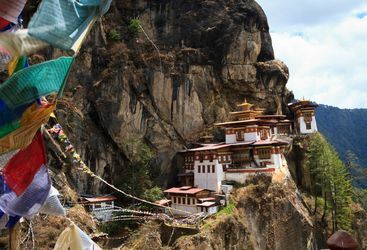 Paro is also the base from which to see probably the highest of Bhutan's many highlights, the fabulous Tiger's Nest monastery. 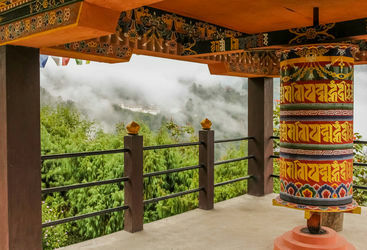 Beyond Paro, and depending on how long you have, we can create an incredible tailor made Bhutan holiday itinerary to take in such wonders as the Wangdi Valley, famous for its extremely rare black cranes; the wonderful Dzongs (fortresses), temples and palaces in Bumthang; and Punakha, the one-time capital of Bhutan, built at the confluence of the mighty Phochu and Mochu Rivers. 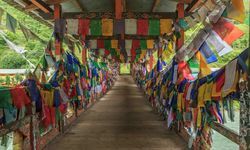 Aside from simple immersion in a thoroughly alien but fascinating culture, trekking is one of the main activities, and keen walkers will be in their element here. Other activities include white-water rafting (from September to May), instruction in archery using traditional bamboo bows, and trout fishing in the many mountain streams and rivers, thanks to a British army officer who introduced trout as he missed the fishing of his homeland. 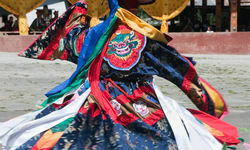 Most of Bhutan's population still wears the traditional national dress of knee or ankle-length robes and is occupied in agriculture of making traditional handicrafts which can be bought at the markets of the current capital, Thimphu. 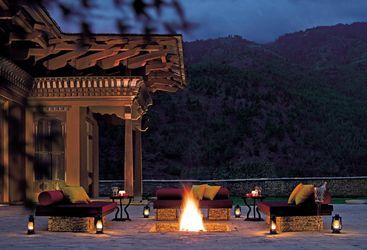 Original Travel consultants know Bhutan well and can arrange for participation in archery tournaments, dancing at religious tsechus (festivals), trekking to fantastic monasteries, mountain-biking along 12,000 ft mountain passes or, between March and May, walks on hillsides ablaze with wildflowers. This seven-storey structure is a welcome addition to the emerging kingdom's small capital city. My highlight: From the moment you start your descent into the Paro Valley the excitement begins; as the plane weaves down through the foothills, occasionally you feel that you are so close to the mountains that the tips of the wings might just touch the valley side - amazing, but perhaps not for nervous flyers. 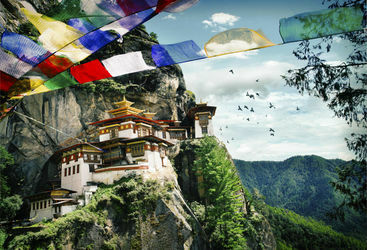 A two week-long holiday to Bhutan including international flights starts from £3,950 per person. 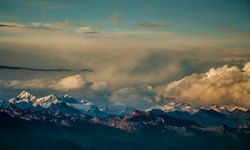 ...thank you for an outstanding 2 weeks in Bhutan. The itinerary, as planned in advance, was excellent. 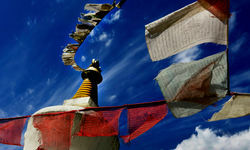 We love Bhutan with special memories and hope to return soon! 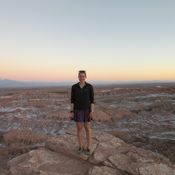 Our trip was wonderful and really went very well. We absolutely loved it and think that you guys really came up with a very well thought out itinerary with wonderful hotels and the dossiers with 'what to do' and 'restaurants' etc... were spot on! 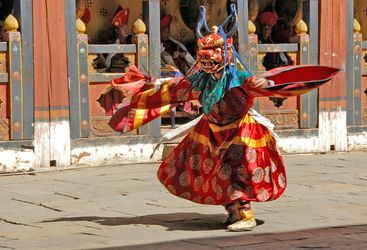 Our guide in Bhutan was fantastic which was a joy because that might have been a problem as we were together for so long but we loved him. Thank you for all your efforts and help and we will be sure to use OT again for sure. Thank you once again as it really was an incredible trip!